This 4-ply, 100% acrylic knitting yarn is machine washable, non-allergenic, and moth-proof. Its greatest feature is consistent color, because there is no dye lot. 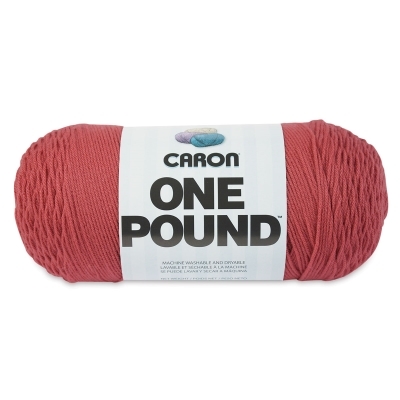 Each convenient pull skein contains 1 lb (454 gr). Comes with two patterns on the wrapper. ® Caron is a registered trademark.